At Wiri Pacific we have over 20 years experience which means our staff understand the specific housing requirements of each island in the Pacific. We’re proud to be shipping our quality timber and building materials to the Cook Islands, American Samoa, Samoa, Tonga, Niue, French Polynesia, Fiji and other South Pacific Islands. 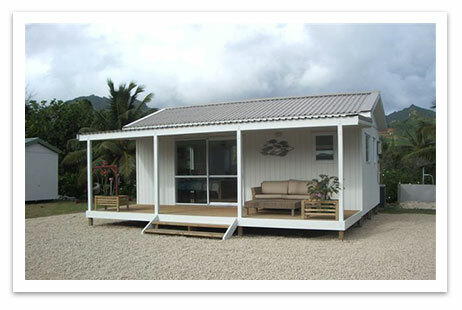 Our building supplies and services have helped build countless homes for families throughout the Pacific. We not only specialise in the export of building materials, we can also assist in supplying house plans for studio units, one, two, three and four bedroom houses. Or if you prefer you can supply your own plans and design ideas to us and we’ll provide you with materials to suit your requirements. Wiri Pacific is the export division of Wiri Wholesale Timber Ltd. Wiri Timber is a leading independent building products supplier also based in Auckland. Wiri Timber has been in business since 1986 and is a founding member of the Frame & Truss Manufacturers Association NZ. Wiri Timber focuses on the residential housing market and specialises in manufacturing high quality pre-nailed wall frames and roof trusses.